Yalla! I’m in Beirut for 3 weeks to write songs about the city and my parents who have lived here in the 60ies. Musicboard Berlin gave me the opportunity to realize this dream that was in my mind since 30 years. I met many artists and musicians like Cythnia Zaven, Youmna Saba, Tony Chakar, Charbel Haber or the Nahnoo activist and theatre director Roger Ghanem, who all inspired me and told me a lot about Beirut. The wonderful perspective daily journalist Juliane Metzker helped me a lot, as well as her husband the film producer Ibrahim Shehab. 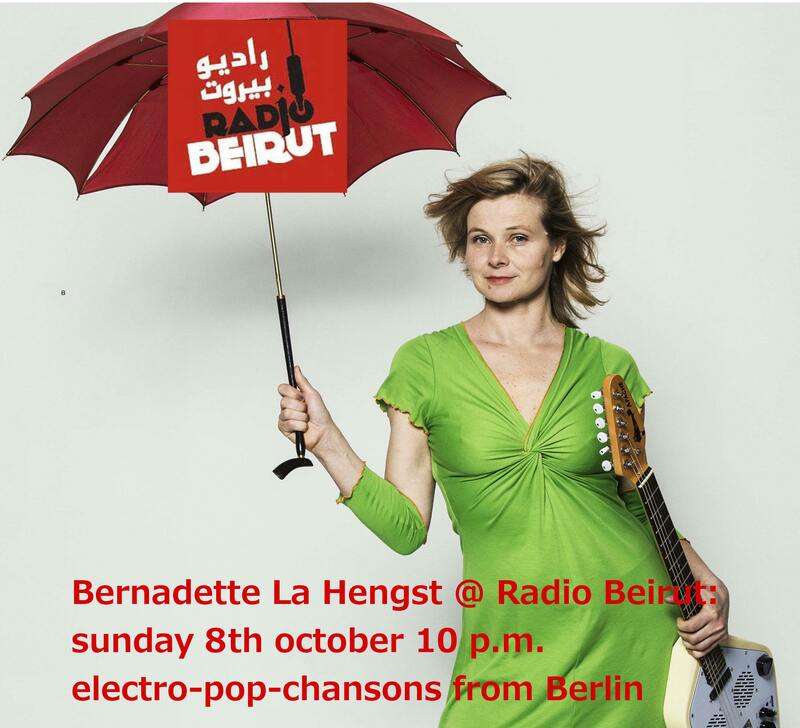 I am very happy to play a concert on 8th october 10 pm at Radio Beirut in Gemmeyze. It will be broadcasted online! Yeahh! The last week I discovered Beirut together with the amazing Berlin artist Claudia Basrawi who helped me finding the house in Kahale where my parents have lived. There will be a video feature about my trip on BBC soon.